As I scanned through a list of those who served as Keepers of the Cape Hatteras Lighthouse, I had to smile. Within the list were thirteen men whom I could claim kinship to. Eight alone are Jennettes. And that doesn’t include the others in this line of my family tree that served at various other lights, up and down the coast. Jennette, it is a name notorious with lighthouses. It is a heritage that I’m proud of and one that I do my best to preserve. 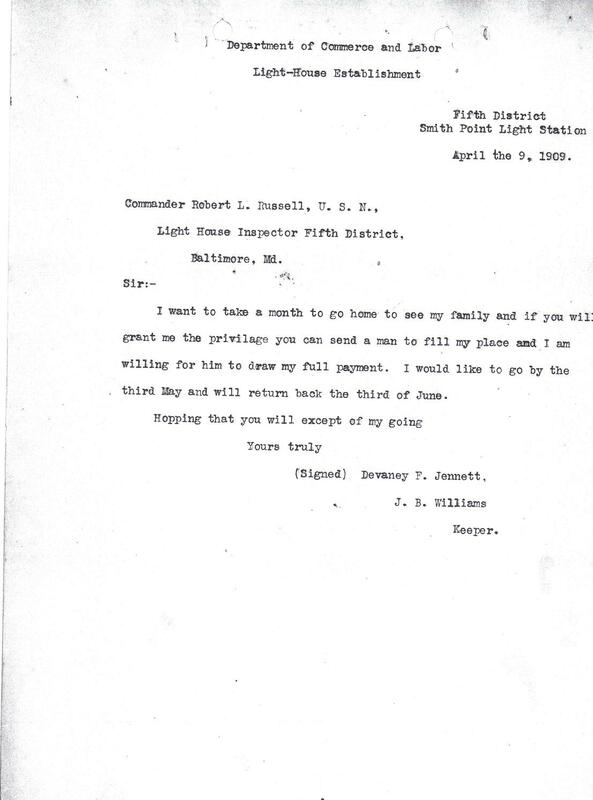 And every time I take out the file of my Great Grandfather, Devaney Farrow Jennette, I am reminded of how important a task that really is. 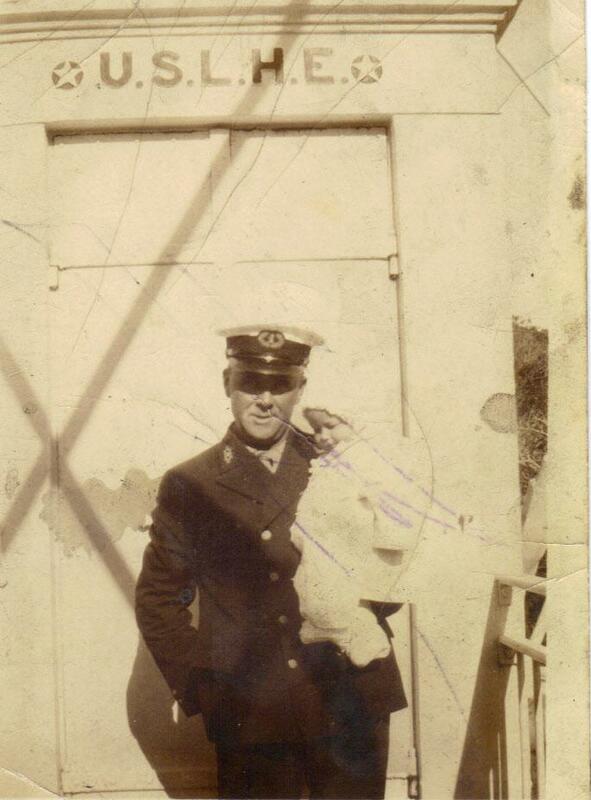 The hand written letters found among it’s pages, tell of his life…and those of others…who were dedicated to making sure that those at sea, had a beacon of light in which to guide them safely home. A very noble lot, indeed. 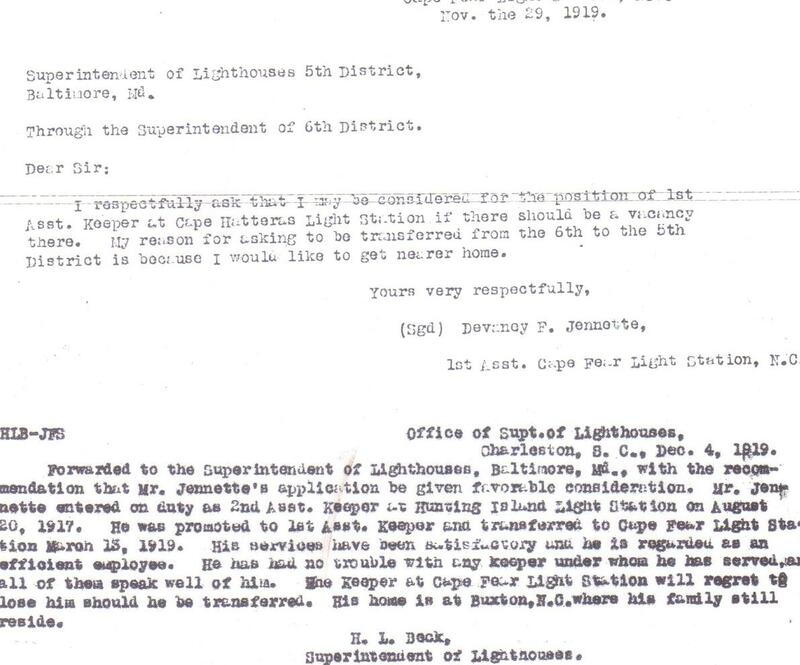 For quite some time, I have been pondering the idea of a blog that would share the genealogical connection between some of these lighthouse keepers. Today will be the first installment of that attempt. We’ll start off with the relationship between Devaney Farrow Jennette, Unaka B. Jennette, and Utah Cole Jennette, and a request to come home. Devaney, Unaka, and Utah Jennette, were first cousins. Devaney was the son of Isaac Littleton and Hosannah W. Jennette. Unaka and Utah were brothers and were born to Benjamin F. and Dorcas L. Jennette. Benjamin and Isaac, their Fathers, were brothers. All were from Cape Hatteras, NC. And to this day, many of their descendants can still be found living on this barrier island. Devaney entered into the United States Lighthouse Establishment in 1908. 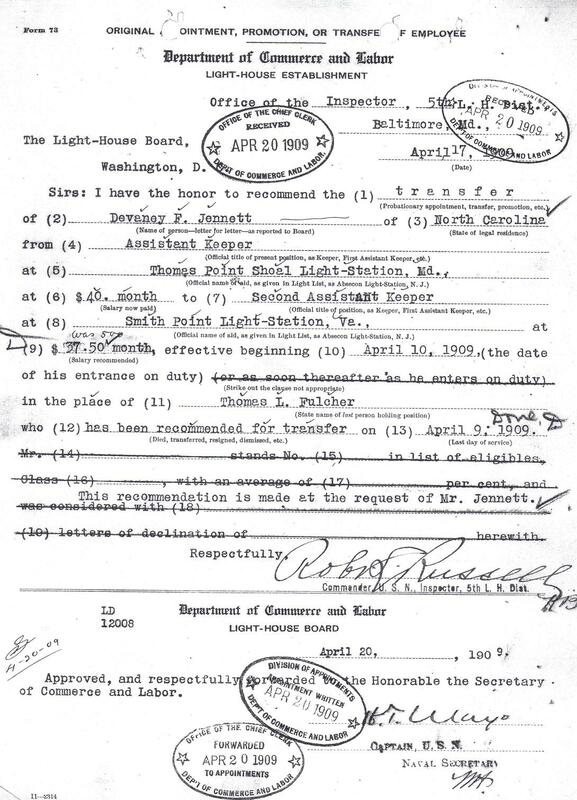 His first appointment was that of Assistant Keeper at the Thomas Point Shoal Light Station, located in Maryland’s Chesapeake Bay. This appointment only lasted six months. 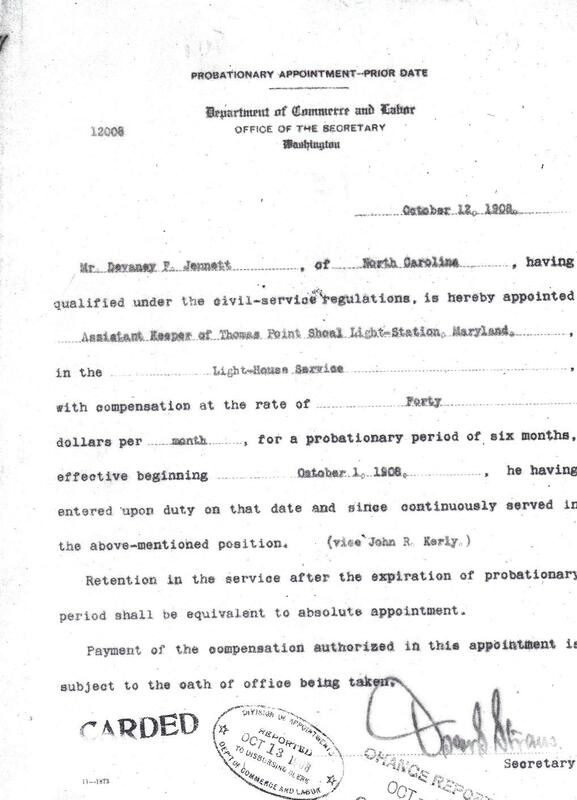 On April 10th, 1909, he became the Second Asst. Keeper of the Smith Point Light Station, which was located in Virginia. The above two documents are just a few out of many that have given me a glimpse into the life of my Great Grandfather. As with most keepers at some point, long distance travel was inevitable. Which also led to long periods of not seeing one’s family and loved ones. 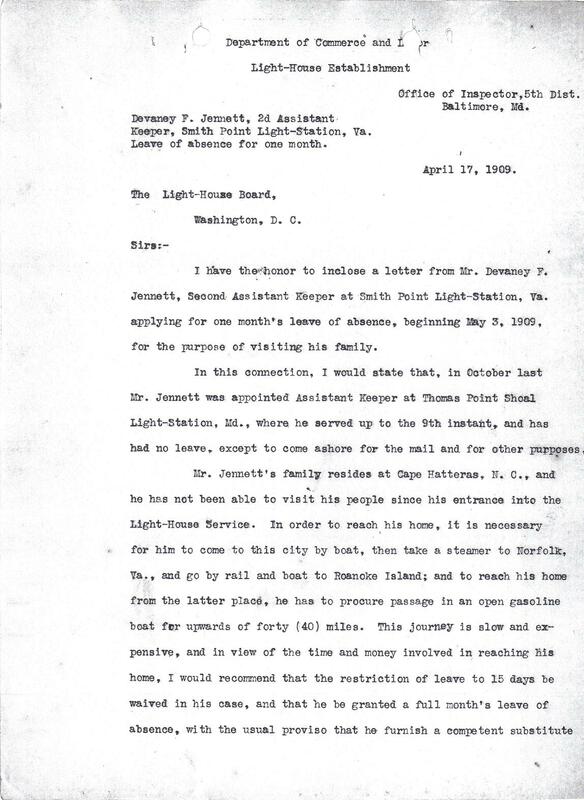 The next two documents gives us a true look at how travel to and from Cape Hatteras, really was in 1909. So as you can see, the road home was a long one. 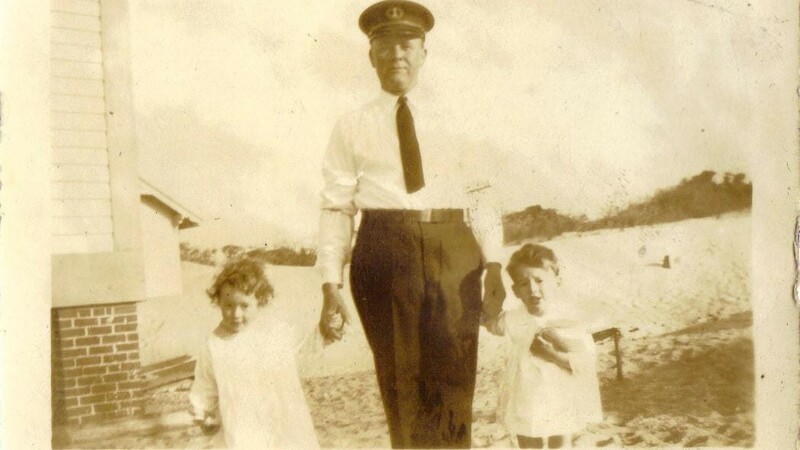 Many times in Devaney’s light keeping career, he thought of the island he had left years earlier in order to make a living. 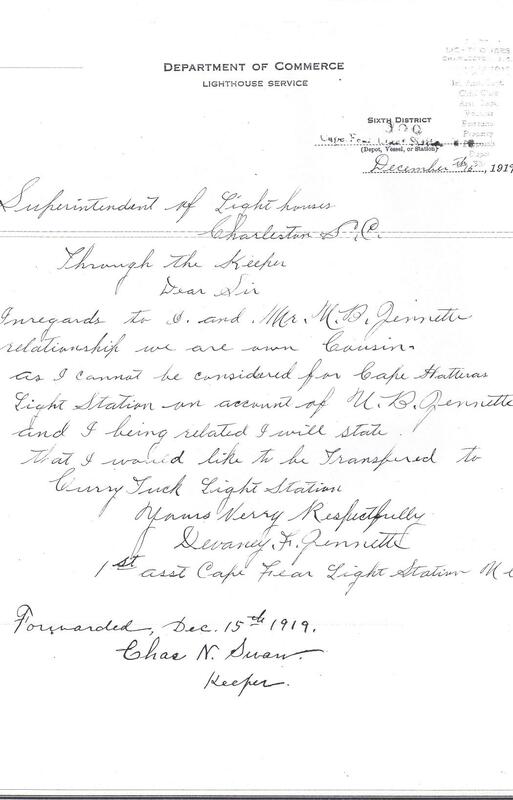 And many times he tried to return through requesting appointments at stations that were closer to home, such the Currituck Light. 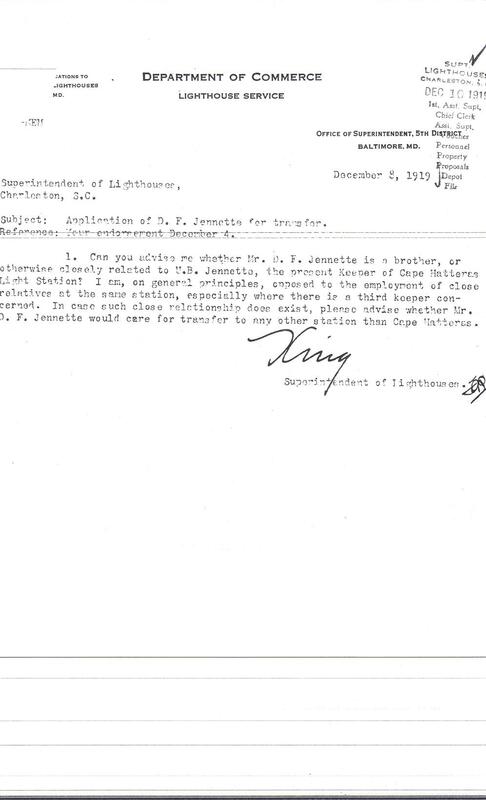 He even requested a transfer to the one he loved most dearly, the Cape Hatteras Light. But his request fell on deaf ears. 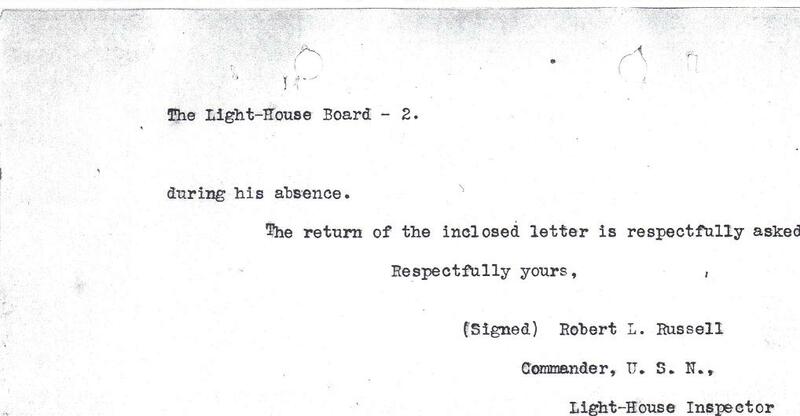 The Lighthouse Service had rules against those with close kinship being stationed at the same light. Below you will find the correspondence regarding the relationship between Devaney F. and Unaka B. Jennette and the USLS’ take on the subject. Devaney F. Jennette, never did get any closer to home. He was appointed to the Cape Fear Lighthouse in 1919 and stayed there until his death in 1932. Unaka B. Jennette, served thirty eight years in the USLHS. Eighteen years of that he spent as Keeper of the Cape Hatteras Light Station and was it’s last keeper while in the hands of the service. Utah Cole Jennette, spent from the late 1930’s, until his retirement in 1954, as Assistant Keeper at the Cape Henry Lighthouse, in Virginia. There is a connection between Islanders of Hatteras and Ocracoke. No, I don’t mean the ferry that carries tourist across the inlet by the masses. Course, I do love that ride in the Fall of the year…once things have slowed down and it seems that the “island time” clock has been reset to normal. The connection I am speaking of is one of blood. 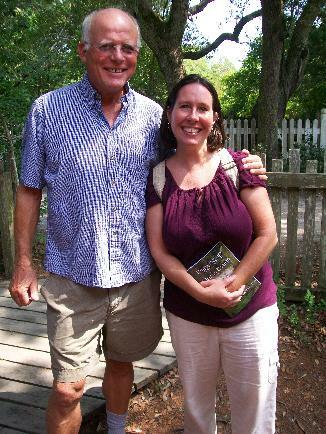 One of generations of islanders, whose ancestors left Hatteras to go live on Ocracoke, or vise versa. It’s surnames like Oneal, Fulcher, and Burrus, that can be found in census and birth, marriage, and death certificates, that prove our people…our history…are one. This past Thursday, two friends and I decided it was time to head to Ocracoke, mainly to enjoy the day and soak up some Ocracoke vibes. Course the day was hot and humid. It was August, after all. But we still enjoyed meeting up with friends, making new ones, and visiting historical sites, as I searched for hints of the ancestral past of those who left Hatteras, a long time ago. 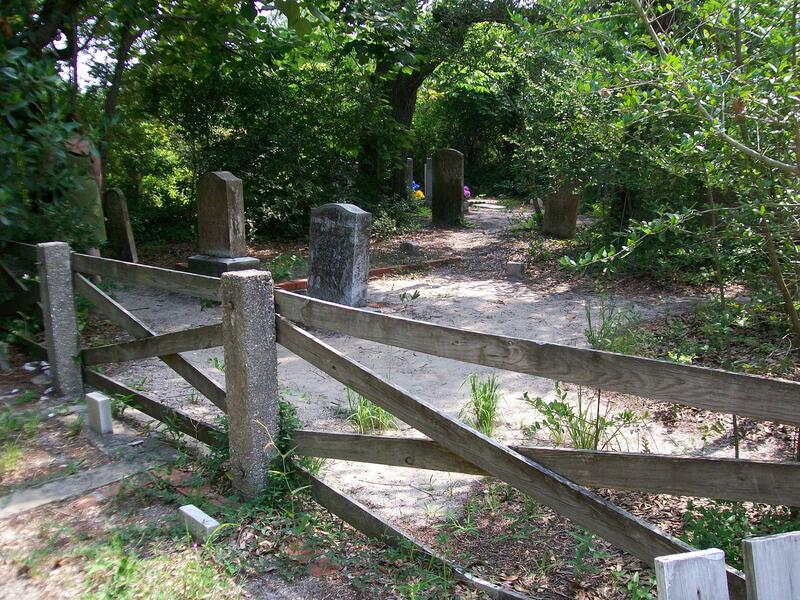 While at the Village Craftsman, Amy, Lesley, and myself, spotted a cemetery across the sand road from the store. Course I couldn’t resist and headed straight for it. 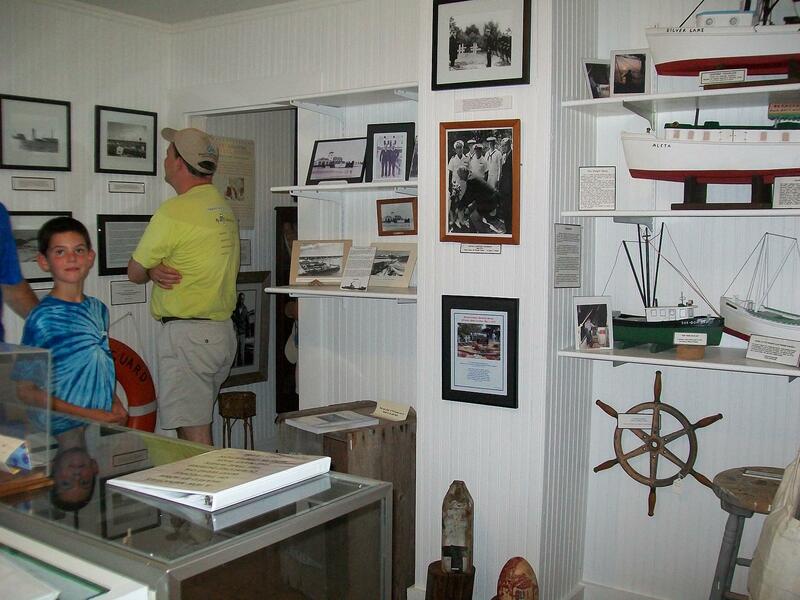 After a lunch of Creole Shrimp and grits, we headed on over to the Ocracoke Preservation Society’s Museum. Had the pleasure of meeting DeAnna Locke, who is the OPS Administrator. What a wonderful job they have done with preserving the David Williams House. 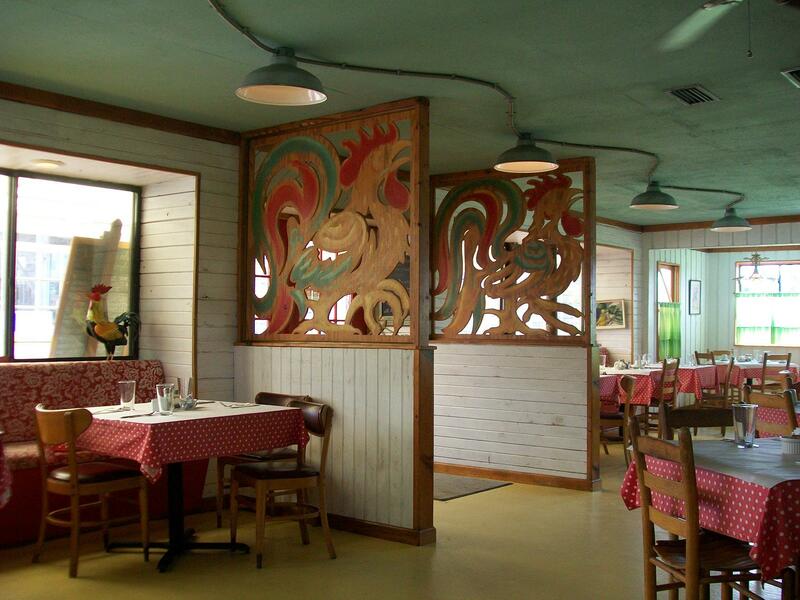 In 1989, it became their home office after they moved it from just north of the Anchorage Inn, to it’s present location. 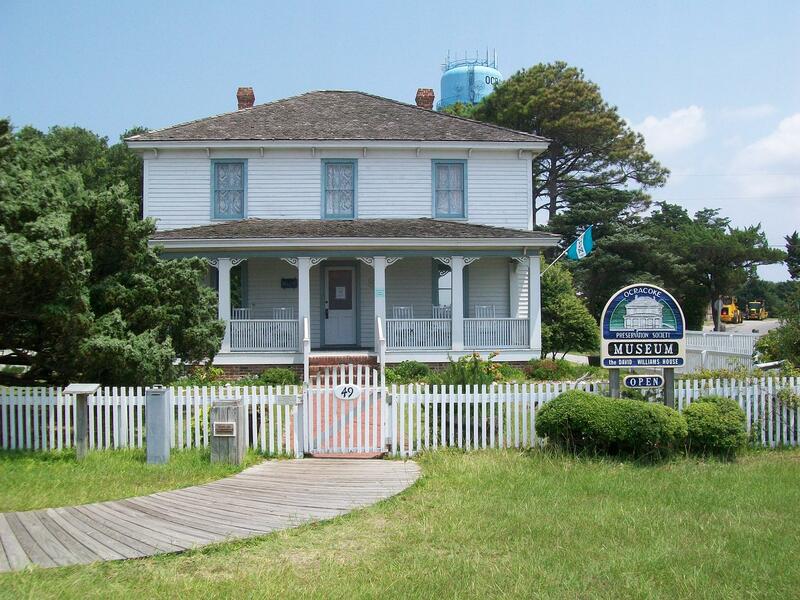 For information on the Ocracoke Preservation Society and visiting their Museum, please follow the link below.